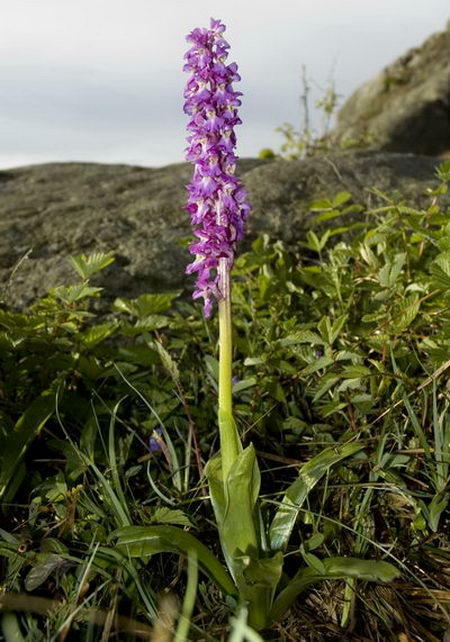 Early-purple Orchid – Orchis mascula is Norway’s only species of the genus Orchis. 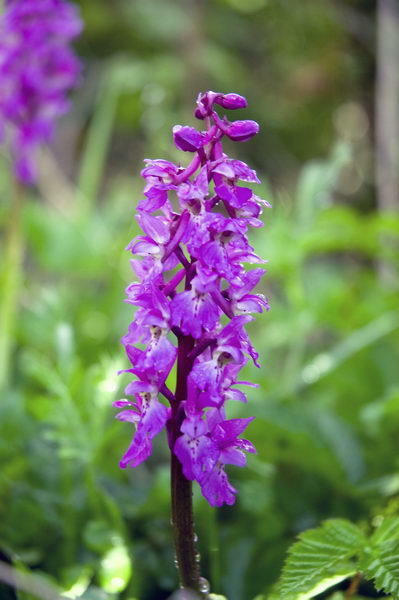 Orchis was first used for a red flowering Dactylorhiza by Theophrastus, year 300 BC. 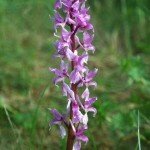 As genus name was Orchis first used by Linnaeus in 1753. In the biological systematics used form Linnaeus. 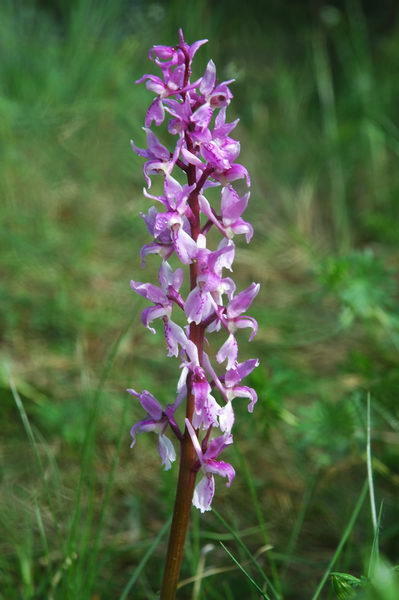 In indications by scientific species name shortened his name to L. The genus Orchis came to consist of very many species as new orchids were described. Many of these have since been moved to other genera. 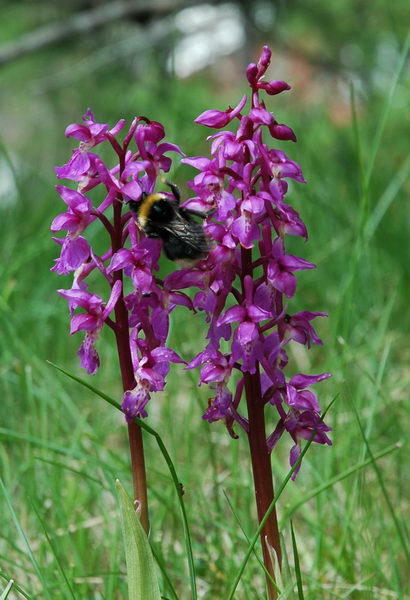 The genus Orchis was almost halved in the 1940s when the species with hand-shaped tubers were led over to a separate genus, Dactylorhiza. Later, other plants Orchis resulted genus Anacamptis. 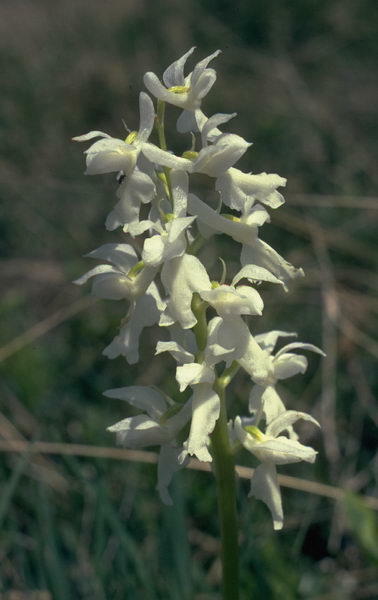 The genus Orchis has about 60 species spread in Europe, including the Mediterranean countries and North Africa. 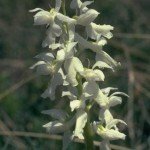 The name Orchis refers to species testicle-like tubers. 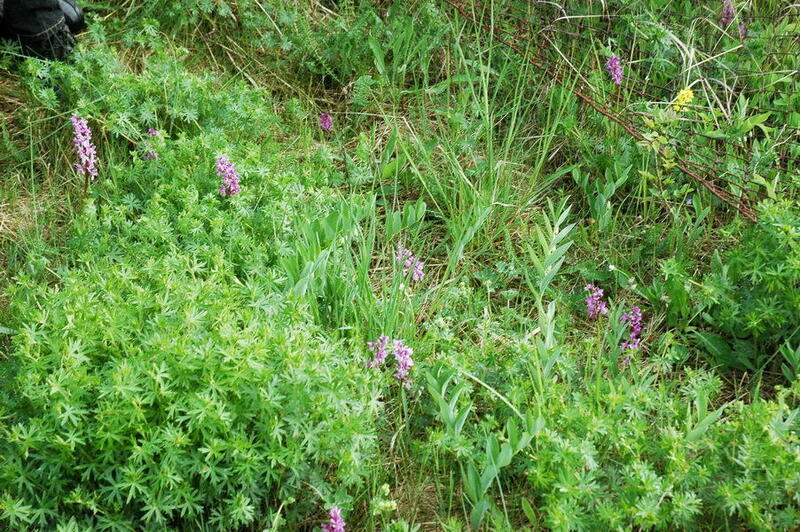 Early-purple Orchid is fairly common and can be found scattered in the fjords and coastal areas in most of the country north to Troms. Telemark and Trøndelag found also far away from the coast. 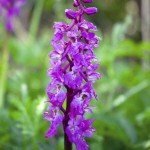 Early-purple Orchid growing on calcareous ground in pine and deciduous forest, the grasslands and pastures, heaths and sometimes in marshes. As previously mentioned, the species resting in midsummer after seed production. The species thrives therefore best on sunny warm places that later in the summer dries out while the plant is resting. New growing season begins in late summer. Samples can grow up to 40 cm high and has a rough stalk with 5-6 broad leaves. The leaves are first during the growing season as a sleeve around the inflorescence. The flowers are large and usually red-violet. Nuances may arise from lighter reddish purple to pure white. Flower lip are three patched with dark spots on the lip. The two remaining petals splay outward. Spur is club-shaped and pointing upwards. It is easy to detect because it is beautiful, eye-catching and often higher than the surrounding vegetation. Early-purple Orchid is early flowering and blooms recently in May in southern Norway. The flowers fragrances well outdoors, but getting bad odours indoors.